Michael L. Cook is a founding member of Cook Brooks Johnson PLLC. Mike focuses his practice on taxation and real estate, which includes tax litigation, tax planning for business transactions, advising clients on tax implications of corporate acquisitions, partnership formation and restructuring, and real estate transactions. In the area of tax litigation Mike handles numerous administrative appeals each year and has tried federal tax cases in the United States Tax Court, the Federal District Court and handled appeals in the Fifth Circuit Court of Appeals. Mike also has substantial experience advising clients in real estate matters, including advice and counsel to developers and owners in commercial real estate transactions and parties in real estate workouts. Mike is Board Certified in Tax Law by the Texas Board of Legal Specialization and he is a Certified Public Accountant. Mike has also been listed in the publication Best Lawyers in America (in Tax and Real Estate) since its inception in 1983. Mike has been named a Super Lawyer in Taxation by Thompson Reuters Service (published in Texas Monthly) for the years 2003 through 2019. Corby Brooks is a founding member of Cook Brooks Johnson PLLC. Corby concentrates his practice on taxation, business transactions and real estate transactions. He assists clients with tax planning, formation of business entities, structuring and re-structuring of joint ventures, buying and selling businesses and business interests, real estate transactions and succession planning. Corby also represents clients in tax controversies with the Internal Revenue Service and the Texas Comptroller. Corby graduated from the University of Texas School of Law with honors and was admitted to the Order of the Coif honorary society. 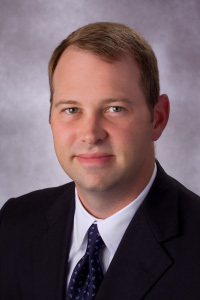 Corby is a Certified Public Accountant who formerly practiced accounting with PriceWaterhouseCoopers (formerly Coopers & Lybrand) in Houston, Texas and Ernst & Young in Austin, Texas. Corby Brooks has been named a Rising Star in Taxation by Thompson Reuters Service (published in Texas Monthly) for the year 2009 and for the years 2011 through 2014. Corby has also been named a Super Lawyer in Taxation by Thompson Reuters Service (published in Texas Monthly) for the years 2014 through 2019. Michael Johnson is a founding member of Cook Brooks Johnson PLLC. Michael’s practice primarily involves representing individuals and families in connection with their domestic and international tax, estate planning, and asset protection needs. In addition to his U.S. estate planning practice, he designs and implements strategies to address cross-border estate and tax planning for multinational families with U.S. investments or beneficiaries. He also represents both individuals and fiduciaries with regard to the administration of foreign and domestic trusts and decedent’s estates. Michael is Board Certified in Estate Planning and Probate Law by the Texas Board of Legal Specialization. 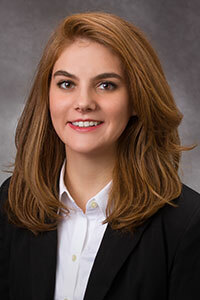 Tara Aevermann Potts is an attorney who concentrates her practice in the areas of corporate and partnership law and federal and state tax law. She represents clients in all stages of their businesses from the formation of the entity through the implementation of the exit strategy of the business. Tara’s experience with entities includes reorganizations, mergers, acquisitions, restructurings, conversions, and redemptions and admissions of partners, members and shareholders. She also assists individuals, non-profit corporations and all types of business entities with federal and state tax matters. Tara represents clients in a number of industries including, but not limited to, real estate investors and developers, medical professionals, schools, and oil and gas companies. Tara is a Certified Public Accountant who formerly practiced with Arthur Andersen before attending law school. Joanne Hatton is an attorney focusing on tax controversy, tax planning, and business transactions. 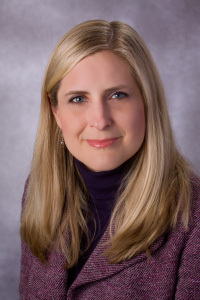 Joanne’s experience includes federal tax matters involving income tax, estate tax, and employer withholding tax, as well as state tax matters involving sales and use tax and franchise tax. She has experience determining the tax consequences of various business transactions and related contracts and agreements, including agreements incident to divorce. Joanne worked in the real estate industry in Austin for more than a decade prior to attending law school and has assisted clients with real estate transactions, business reorganizations, the purchase and sale of stock and partnership interests, and the formation of various business entities.